We specialize in selling and installing split & ducted units for homes and businesses up to 18KW. Split systems are ideal for cooling computer or server rooms; regulating temperature in sunrooms; creating zone systems that allow the cooling or heating of only one room at a time. 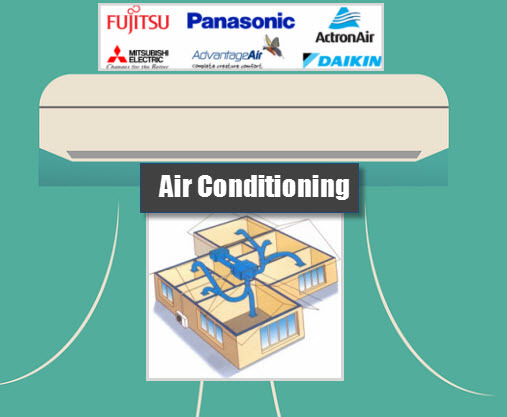 Reverse cycle ducted air conditioning systems are perfect for new homes, offices, shops or commercial buildings & designed to operate in multiple rooms with separate zoning. Meaning you can control each room on or off and set different temperatures with a remote control or even have your smart phone sync with your ducted air conditioning system. Our technicians arrive uniformed, on time, and fully prepared to get the job fixed and completed asap. We are ARC qualified & licensed, rest assured we know how to safely and correctly install any residential or commercial split solutions or ducted systems. Call us for repair, service, installation or when you seek an air-conditioning expert or need someone in an emergency. We also look at mini/mobile/windowless air conditioner units, ductless split, indoor heating and cooling, hvac systems and central ac problems.